Are you struggling to start a conversation in English? Do you need interesting questions to start and hold a question in English with people? 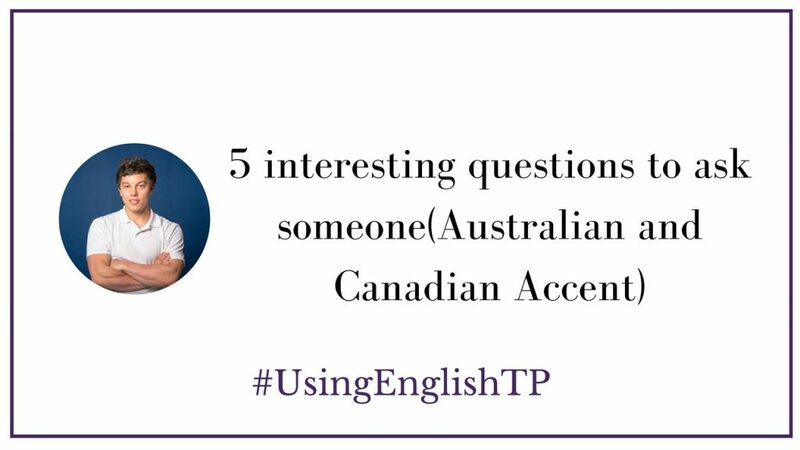 In this #UsingEnglishTP podcast episode, Jacob from Teach Jacob will share with us 5 interesting questions you can use to start a conversation with someone in English. This podcast episode provides you with English listening practice so that you can hear, two native English speakers speaking about starting a conversation Pay attention to the vocabulary, idioms, expressions which are used in this natural conversation. How polyglots are able to master several different languages. Do you feel confident speaking in English and starting a conversation with someone you just met?